Still it is hard to argue with how much is packed into this release, and I found myself exploring it all over and over again. The sheer amount of content makes up for the lack of innovation in some areas, and while I don’t think it stands out as much as Advanced Warfare, it still keeps me playing a series I never thought I would care about year in, and year out. 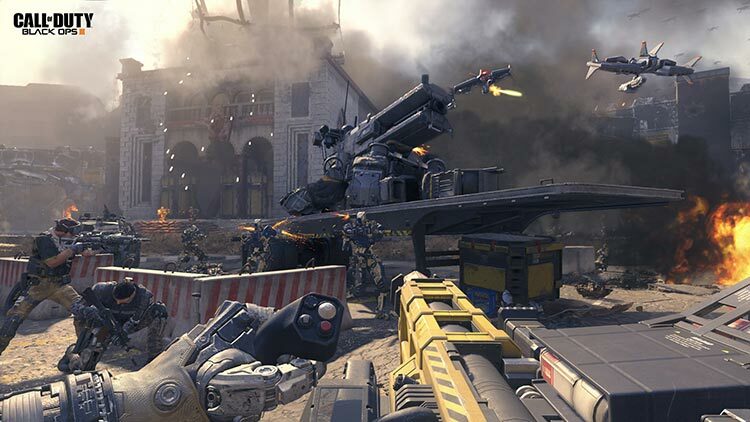 Call of Duty: Black Ops III continues the evolution that began in last year’s Advanced Warfare. 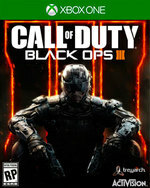 The current-generation of the mega popular war shooter series impresses with (some) freedom of choice and fun abilities. So much so that most of the time, the rather pedestrian visuals and unmemorable story won’t be a deal breaker. Especially, when you consider all the extra content like a second zombie themed campaign. 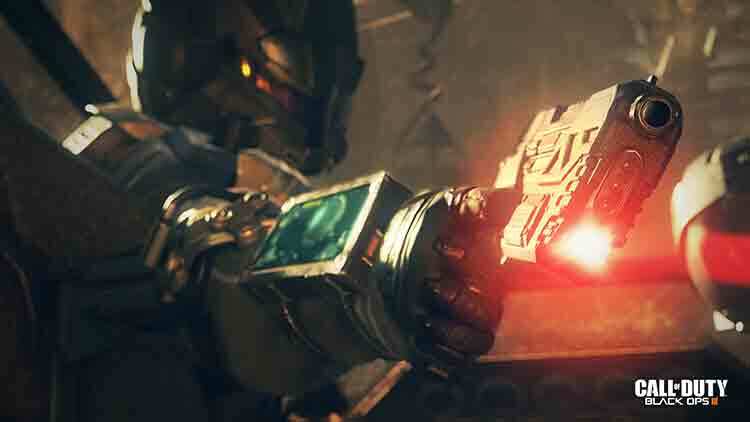 Black Ops III's narrative doesn't support the campaign in any meaningful way, either. It tells an incomprehensible story about AI ascendancy and the moral grays of a hyper-connected future, raising intriguing questions but never bothering to answer them. At the end of it all, after hours of soulless shooting and unremarkable storytelling, Black Ops III delivered its nebulous twist, and I didn't dwell on it. 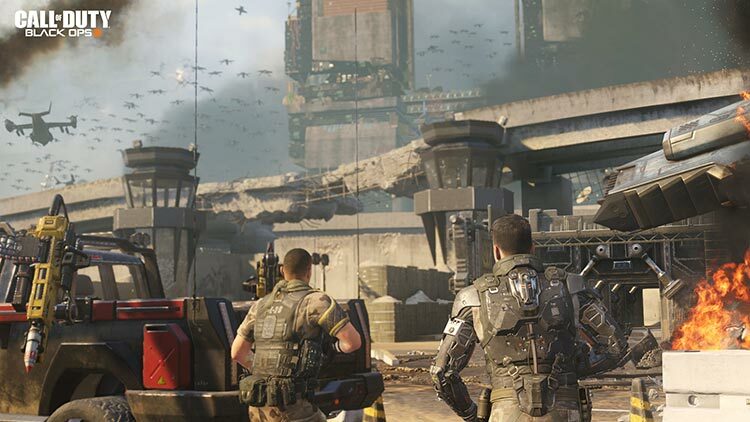 From its four-player co-op campaign to the brand-new powers and a fleshed-out Zombies mode, Black Ops 3 meaningfully pushes the Call of Duty series forward on several fronts. Even where it doesn't innovate, it still meets the high bar Call of Duty fans should expect. Black Ops 3 isn't the best Call of Duty game ever, but it's the biggest and most feature-packed game we've seen out of the series yet. At its heart, Black Ops 3's multiplayer is still very much Treyarch's take on Call of Duty. This means it's fun — Call of Duty and Black Ops found a basis for solid, competitive multiplayer that worked almost a decade ago, and it still resonates here and there. But I'm surprised by how familiar, how recognizable it all feels, which is even more disappointingly the case with its campaign. 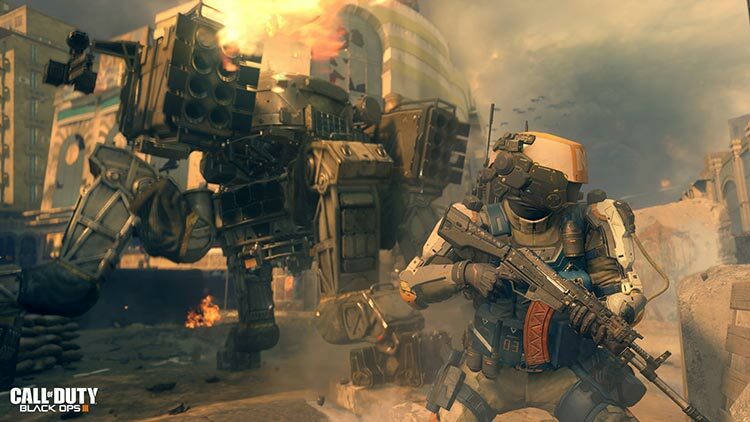 All in all, for as much flack as the Call of Duty series has rightfully received over the recent years, Black Ops 3 completely destroys every preconceived notion - it’s far from a recycled version of the previous installments. From top to bottom the game is excellently crafted with a series of new features to complement a robust campaign plot with all types of crazy twists and turns. Despite a campaign that struggles with occasional mundane shootouts that bring the out-of-this-world story down to earth, the overall Call of Duty: Black Ops III package is incredibly strong, with something for everyone. Whether you’re into traditional multiplayer mayhem or zombie survival, you’ve got lots of choices that are fun solo and even better with friends. Easily the strongest Call of Duty since Modern Warfare 2, and a candidate for the most accomplished AAA title to arrive on the new consoles so far. An incredible, big value package. The campaign only gets interesting if played on the higher difficulty settings, where strategy becomes a necessity. New PvP modes are good but not instantly great. Black Ops III no es una entrega revolucionaria a pesar de que introduce muchas ideas y un mayor énfasis en lo narrativo, pero sigue manteniéndose dentro de las cotas de calidad de los Call of Duty. Si hubiera acertado con el ritmo en la campaña hablaríamos de un producto mucho mejor, pero su amplia oferta de contenidos y lo variado de éstos supone que es un videojuego más que notable capaz de satisfacer a un gran diversidad de público. Der Umfang ist gigantisch! Singleplayer, Koop, Zombie, Multiplayer – wow! Für Solisten steckt ein Vielfaches des normalen CoD-Rezepts in diesem Spiel. Und dann diese Kampagne: Verwirrend, stark an Wendungen und voller Brainfuck. So stark war eine Call of Duty Geschichte schon seit Jahren nicht mehr! Da verzeihe ich auch, dass die Handlung selbst so generisch abläuft, wie jeder andere Teil der Serie auch. Angenehm verwinkelte Areale und zahlreiche Gadgets machen die Action zwar variantenreicher, das Level-Design fordert die coolen Spielereien aber viel zu selten. Stattdessen verlässt sich die Kampagne zu oft auf simple Schießbuden-Gefechte mit schwacher KI und wilde Railshooter-Einlagen, die bei weitem nicht mehr so beeindrucken können wie früher. Auch der Mehrspieler-Part erzeugt gemischte Gefühle: Von kleinen Technik-Problemen abgesehen laufen die blitzschnellen Gefechte meist sauber und flüssig. Le tout est intégré à un dispositif multi-focal où le système coopératif est roi et le multijoueur toujours le cœur de valeur de la marque Call of Duty. Black Ops 3 signe le retour d'un studio, qui après Infinty Ward, pourrait devenir le patron de la licence. Belle fournée sur Xbox One, Playstation 4. Les versions oldgen étant bien loin de ce résultat. Se amate la serie e comprate abitualmente CoD per la campagna, con Black Ops 3 non resterete delusi, nonostante il lieve passo indietro narrativo rispetto a Black Ops 2, e in più Treyarch vi darà in pasto un multiplayer solido e una quantità di modalità extra davvero impressionanti. Certo, il comparto tecnico non è al top per quanto concerne gli sparatutto e il gameplay ormai lo conoscerete a memoria, nonostante le numerosissime aggiunte, ma se volete uno shooter completo e capace di durarvi per tutto l'anno videoludico beh, qui avrete davvero pane per i vostri denti. Но ей все время чего-то не хватает. Пространства большие, но не всегда красивые. Способности крутые, но тебя ограничивают в их использовании. Врагов много, но они в массе своей — расходный материал, который не вызывает никаких эмоций и толком никак не делится на классы. В итоге мне кажется, что Treyarch не до конца поверила в себя, раз за разом ограничивая свои же удачные находки. 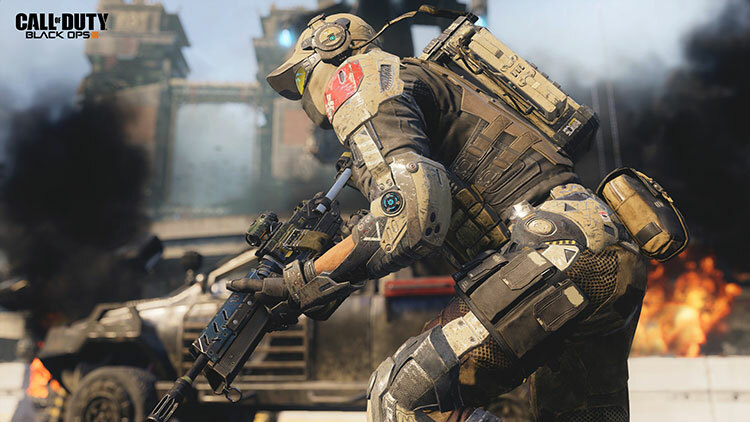 Call of Duty: Black Ops 3 heeft de meeste content van welke Call of Duty dan ook. De nog altijd sterke en vloeiende schietactie mag dan wel hetzelfde zijn in elk speltype, maar toch zorgen de verschillende aanpakken voor de nodige variatie. In de co-op campaign kom je weer op interessante locaties, maar het mist toch de grootsheid van een Call of Duty campaign. För att summera så var det nära att jag satte betyget tio på Call of Duty 4: Modern Warfate. Det var verkligen precis just så bra. Sedan dess har inget spel i serien ens varit i närheten. Men i och med Call of Duty: Black Ops 3 kommer tankarna tillbaka. Detta är närmare tio än åtta, och det är alltså en stark nia jag dundrar ut på vad som måste betraktas som den mest välfyllda förstapersonsskjutaren någonsin.